Hi, could someone assist me please. 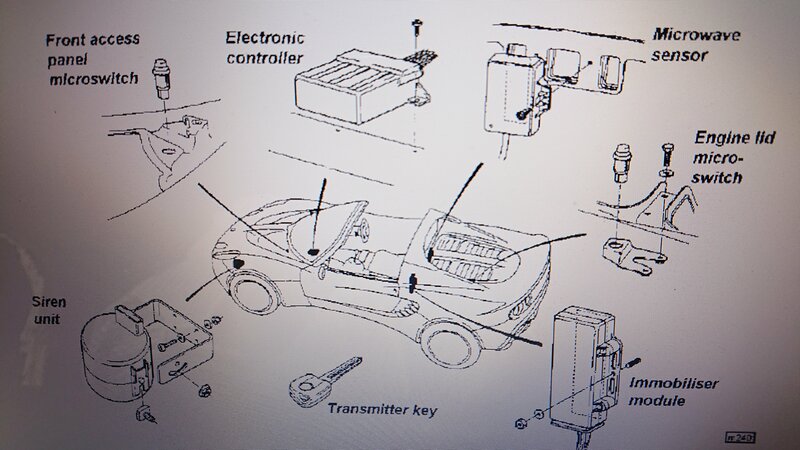 I have a Lotus Elise (2001 model) which has an Meta Alarm System fitted to it (Model No M99T2M36T2). I have owned the car for 5 years and has hardly been used, hence why it has only 12,000 mile on the clock. Last year the alarm system went wrong and I was unable to start it. I am told it is the battery in the immobiliser which needs replacing. 1. Where is the immobiliser situated. I am told it is behind one of the seats behind the panel, if so how do I get to it? 2. I am told the battery is a sealed component and the only way to get the alarm system working again is to replace the immobiliser and fobs? Can you still get replacement parts for Meta? The Meta immobiliser doesn't have an internal battery - have you tried putting a new battery in the key fob? If that doesn't do the trick then it is possible to replace the immobiliser alone. As standard the alarm and immobiliser are paired, but it is easier and less costly to replace just the immobiliser. These can be bought for around £50 on eBay or Abacus alarms will sell you one with the correct plug for rather more. First step - if you haven't already - is the keyfob battery. Next step would be to bypass the existing immobiliser to check if that's the cause. The siren has an internal battery, not the immobiliser. As Tim say's above really. Good luck. Ditto all of the above . Its the M99 alarm so the siren has its own back up battery to meet Thatcham 1 - so says the manual. The Meta M36T is well-known for de-linking from the M99 so it doesn't unlatch and, hence, the car won't start. If it starts after bypassing the immobiliser then this is what will have happened and can be rectified by replacing the immobiliser. Replacements run as a standalone system using a separate coded electronic key. To check the M99 alarm itself, the obvious first step would be to set the alarm then deliberately trigger it to see if the siren operates. If it does, then the alarm is fine. The above all assumes the non-starting isn't being caused by something else, eg. worn/corroded starter solenoid contacts, etc.